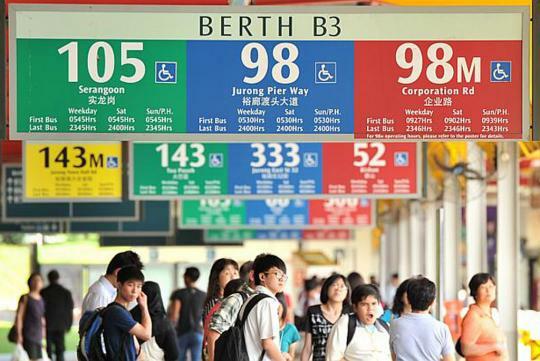 HOW will the latest public transport fare revision affect you? The Public Transport Council (PTC) yesterday said it had decided on an overall fare increase of 2.8 per cent. But fares for more than 1.1 million commuters won't change, as fares were frozen for senior citizens and concession pass holders. So the actual impact of fare increases will depend on the profile of your family. A typical household with two working adults and two school-going children who each make two trips a day is likely to see a $7.20 rise in monthly transport expenditure. While that may not sound like much, it is sizeable for a one-year rise when you compare it to the average increase experienced by households between 2007/8 and 2012/13. According to the Department of Statistics, the increase in transport expenditure over that five-year period was merely $10 - from $160 to $170 a month. That would work out to be an average increase of only $2 per year. But of course averages do not always tell the whole story. For instance, if a household consists of two retirees and their unmarried son who earns less than $1,900 a month, it would see zero increase in bus and train fares this year, thanks to fare concessions. If the policy to help vulnerable groups continues, it is possible that low-wage workers and persons with disabilities will not have to incur more on transport fares for many more years to come. Of course, their cost will be borne by other commuters. Well, mainly able-bodied adults holding down relatively well-paying jobs. Public transport companies - which pay their shareholders millions in dividends a year - are also required to share the social responsibility. Up to half of their revenue gains from a fare increase will be clawed back and put into a fund to help the poorest commuters defray the cost of a fare hike. This stronger social safety net was put in place two years ago by the Fare Review Mechanism Committee headed by Mr Richard Magnus, under the direction of Transport Minister Lui Tuck Yew. That is why going forward, adult fares are likely to rise by bigger quantums than in the past. It may sound unfair, but it is actually more socially equitable than previously, when a fare increase cut across a wide spectrum of the community. Yes, the Public Transport Fund had been around back then, but efforts to disburse transport vouchers were feeble at best. Some years, only half the vouchers were distributed to needy families. This has improved dramatically. Last year, 207,000 of the 250,000 available vouchers were distributed; and out of those, 180,000 were redeemed. At this juncture, the casual observer might ask: Why not have smaller fare rises in the first place, and not have to claw back anything from the operators? That would result in one of two things. One, the operators not having enough revenue growth to cover cost increases. Two, the more likely outcome, is that the Government will have to fork out more in subsidies. As such, the current mechanism is quite sound. The only quibble one might have with it is the long time lag between factors that justify an adjustment, and the actual adjustment. This year's exercise was based on 2013 figures, using changes in consumer price index, average wage and energy index from that year. The reason for this was that full-year 2014 figures were not yet available when the Public Transport Council deliberated on the latest application by the operators for an adjustment. This poses a special problem, but it has to do with public perception. The man in the street is probably unfamiliar with the intricacies of the fare revision exercise. What he sees is oil prices plunging by nearly 60 per cent in the last half-year, and fares going up at the same time. What he also probably forgets is that part of last year's increase was held back to prevent too big a hike. This problem of perception can be managed if the fare revision exercise were to revert to the previous timeline for changes. That is, PTC deliberations to be done around July, and new fares to be effected in October. The time lag would be just one year, not two. Another alternative would be to use projected figures instead of actual figures. And if there is a big difference, work in an adjustment the following year. Policymakers loathe doing this, though. They prefer to work with hard, precise numbers. Also, they sometimes get things very wrong when they do projections - like the way certificates of entitlement supplies were determined a few years ago. It was based on the projected number of cars to be scrapped in a given year. Theoretically, it was a more market-responsive method. But projections were eventually way off the mark, which made the Government revert to the original formula of basing supply on vehicles actually scrapped. A similar flip-flop in the public transport sphere will cause more angst, as there are a lot more bus and train commuters than car owners. That's one way to skin a lamb. I must say it's a nice picture the way some ppl wants to paint it. But we not fools. Wow, talk about greed. LoL.. I can't believe the time I spent reading this BS. LoL... It's a nice attempt...for children maybe.